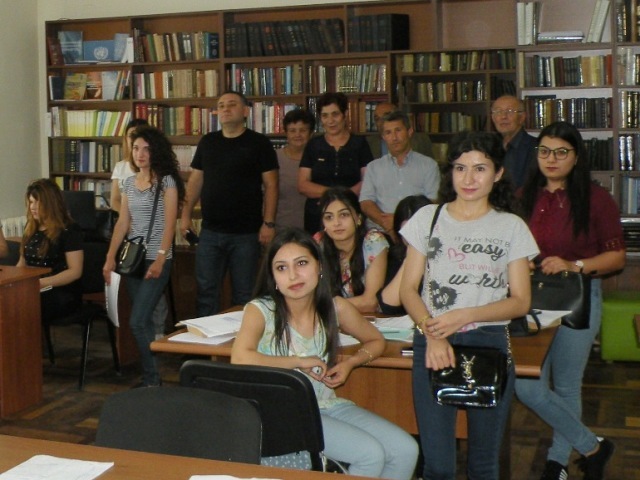 YSU Ijevan Branch hosted an event by the initiative of directorate on the occasion of YSU IB lecturer of the Department of Emergency Situations and Gymnastics, Nver Gharibyan’s victory at Powerlifting World Championship 2018, on June 9. 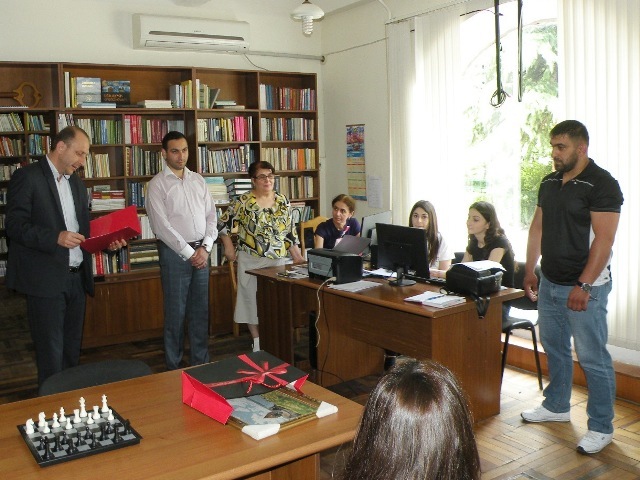 Representatives of YSU IB administrative and professorial staff, students and guests were present at the event. 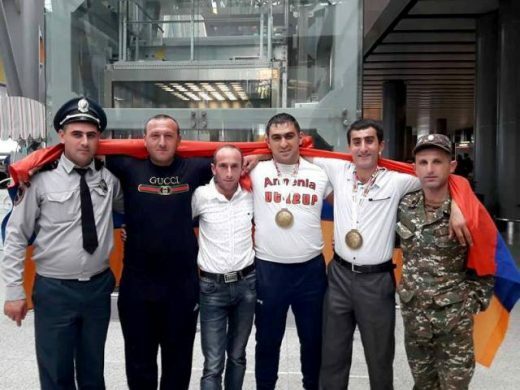 The Armenian Men and Women National Powerlifting Teams have taken part in the European Powerlifting Championships hosted by Ukrainian city of Lutsk on May 17-22. 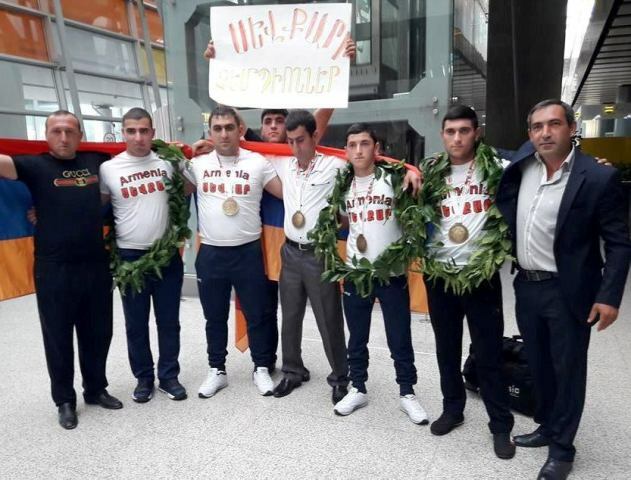 The Armenian athletes set new world records, winning gold and silver medals. The Powerlifting Team of Armenia has left for the competition with 24 athletes (headed by Coach Gagik Saroyan) and has won 13 medals. Varazdat Hakobyan (67.5 kg), William Saroyan (75kg weight category), Aram Khachatryan (90kg), Hrach Guloyan (100kg), Nver Gharibyan (110kg weight category) became world champions. 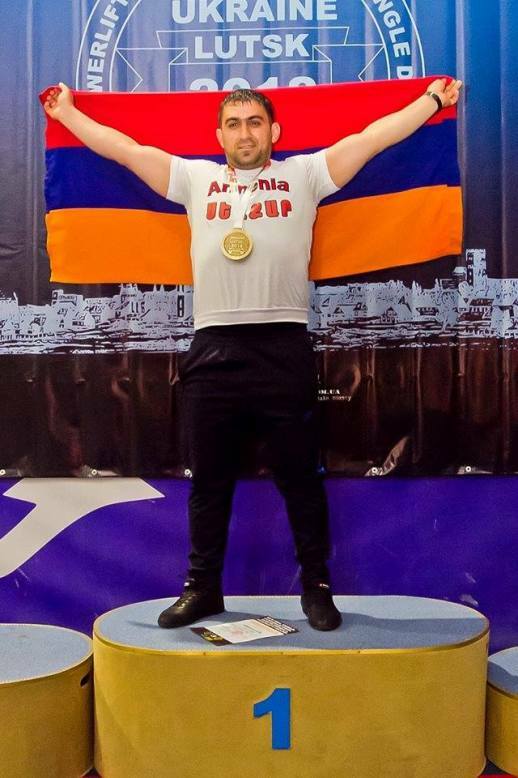 Nver Gharibyan, a lecturer of YSU IB Department of Emergency Situations and Gymnastics, won World Champion title in the 110kg weight class. 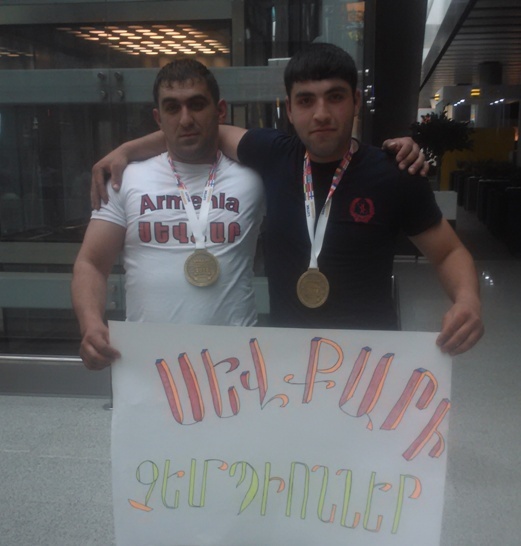 Gor Khachatryan (75kg weight category) became silver medalist of the championship, and Arthur Arakelyan (90kg weight category), bronze medalist. 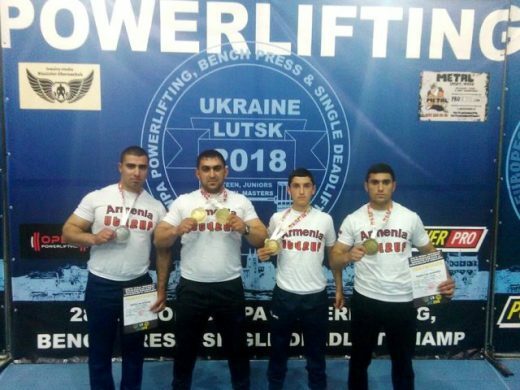 Andranik Minasyan (75kg weight category) and David Avedikian (90kg weight category) won the title of world champion in the youth championship and Robert Ordinyan (110kg weight category) was awarded with a silver medal. Jasmin Hayrapetyan (56kg weight category), David Papyan (44kg weight category) and Eric Khachatryan (60kg weight category) won silver medals and Karen Arakelyan (82,5 kg) won silver medals. YSU IB deputy-director A. Cuculyan delivered a congratulatory speech on the occasion of the glorious victory of our lecturer, the 2nd prize winner of the World Cup (2016), the three-time in a row European champion (2016, 2017, 2018), world champion (2018), master of sport of the international class Nver Gharibyan. 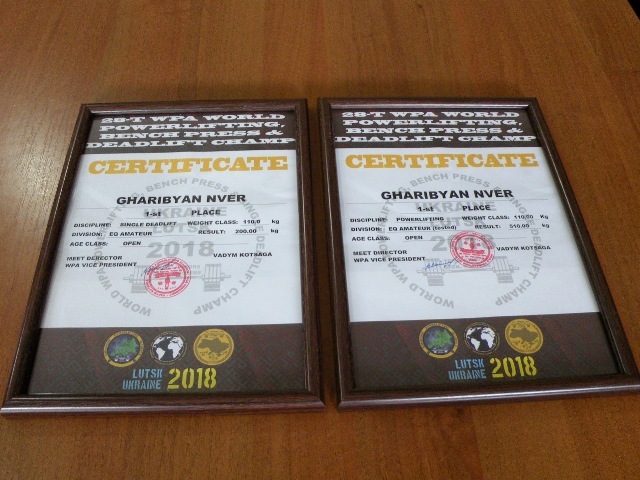 Then, A.Cuculyan handed a souvenir and prize money to N. Garibyan, wishing him new victories, new opportunities for winning championships, both as an athlete and a coach (including YSU IB students trainer).